I found this quote presenting a fresh way of looking at lent; all our activities and observances during lent should be aimed or geared towards renewing our hearts and minds to prepare them as a fertile ground, to receive the life-giving Word of God which in turn penetrates our life giving us a new identity and direction. I understood this to mean that lent is not so much a time for making all those many religious observances, though necessary, but it is more of a time to study the word of God, reflect on it and apply it in my life so that going forward, it can guide all my thoughts, actions and words. It is a time to stop, observe the wind and adjust my sails so that the boat of my life can take the correct route towards our destiny. As has been taught by the Church, the three pillars of lent are prayers, fasting and almsgiving. As part of the lent preparation I sought out to learn more about these three pillars and below I present some of the lessons learnt so far on fasting. For Catholics, fasting is the reduction of one’s intake of food, while abstinence refers to refraining from meat (or another type of food). Seems there are varied descriptions of what really constitutes a fast during lent (and I believe any other times) but the most common one seem to be that on days of fasting, we are to eat only one meal, that can be breakfast, lunch or dinner. If needed, two smaller meals (not adding up to more than one regular meal) may be eaten at regular mealtime. No food is to be eaten between meals. Both Ash Wednesday and Good Friday are days of designated as days of fasting and abstinence. Fasting helps in preparing the soul for prayer and contemplation of divine things as can be demonstrated from three examples in the Bible; In Exodus 34:28 Moses fasted for forty days and forty nights before he wrote the second set of the tablets containing the Ten Commandments; Daniel 10:1-2 explains how Daniel had a 3 weeks fast before a great vision and in 1 Kings 19: 8 we are told how Elijah traveled for forty days and forty nights until he reached Horeb, the mountain of God. To this you can add Jesus’ forty days fast before He started His ministry. Fasting serves as a satisfaction for sin. As St Jerome puts it “Fasting and sackcloth are the arms of penance, the help of sinners”. In Jonah Chapter 3, we read how after Jonah had prophesied about the destruction of Nineveh, the king declared a fast for the Ninevites and following this fast, and the genuine conversion from their sinful life, God relented and did not bring on them the destruction he had promised. Fasting is meritorious and is very powerful in obtaining divine favours. Matthew 6:17-18 advises us about fasting “But when you fast, put oil on your head and wash your face, so that it will not be obvious to others that you are fasting, but only to your Father, who is unseen; and your Father, who sees what is done in secret, will reward you.” Also, in 1 Samuel 1:6-7, we read about Hannah’s fast as represented by her husband Elkanah’s questions, and how this led to her womb being opened and giving birth to Samuel. Fasting tames the flesh by crucifying it with its vices and when fasting the idea is to use the hunger to help us to focus more clearly on Christ. We should convert our fasting to be a prayerful exercise during which we draw closer to Christ by meditating on His forty days in the desert and how hungry and thirsty He was while hanging on the cross. During this fasting moment, as my stomach rumbles or as I yawn, it is a good moment to say a quick prayer asking for forgiveness for the many sins I have committed as well as to ask for strength to be able to face whatever temptations the evil one may throw my way. The pangs of hunger also reminds me of my hunger for God. Further, with fasting, it is not just about giving up our favourite food but it’s also about going further and giving up things like hatred, ‘unforgiveness’, impatience, anger and so on. It should thus be looked at as an opportunity to clean our hearts and to prepare ourselves for purity; a moment to pick up new habits and new virtues. “Jesus entered Jericho and was passing through. A man was there by the name of Zacchaeus; he was a chief tax collector and was wealthy. He wanted to see who Jesus was, but because he was short he could not see over the crowd. So he ran ahead and climbed a sycamore-fig tree to see him, since Jesus was coming that way. Jesus said to him, “Today salvation has come to this house, because this man, too, is a son of Abraham. For the Son of Man came to seek and to save the lost.”” Luke 19:1-10. When I recently reflected on this story, it occurred to me that in most of the homilies that I have listened to and the commentaries I have read on this story, the reflections are usually based on the behaviour of three major players (characters, if you wish); Jesus the Saviour, Zacchaeus the sinner and the crowd which represents distractions/hindrances. Very little, if any, is said about the sycamore and this sent my brain into overdrive. What was its significance in this story? Does it matter that it was a sycamore tree or it could have been just any other tree or may be a rock? What became of it? Did it outlive Zacchaeus? After his conversion did Zacchaeus have any relationship with it again? Did he ever revisit the site? Are the claims by some writers that the sycamore tree still exists somewhere in Jericho factual? The tree…so many things about the tree and Zacchaeus are vague. And of course the bonus question: given its huge trunk and Zacchaeus short stature (the mental image I have of Zacchaeus is a stout man with short legs and arms and carrying some extra weight around the mid-section) how did he manage to climb the tree? Naturally, he couldn’t have jumped on the branches! According to wikipedia, the sycamore grows to 20m tall and has a considerable spread, with a dense round crown of spreading branches and whose flowering and fruiting occurs year-round. The Bible Study Tools notes that the sycamore was a tree of great importance and with very extensive use in Egypt and Palestine and so great was its value in David’s kingdom that he had appointed a special overseer for sycamore and olive trees – 1 Chronicles 27:28. 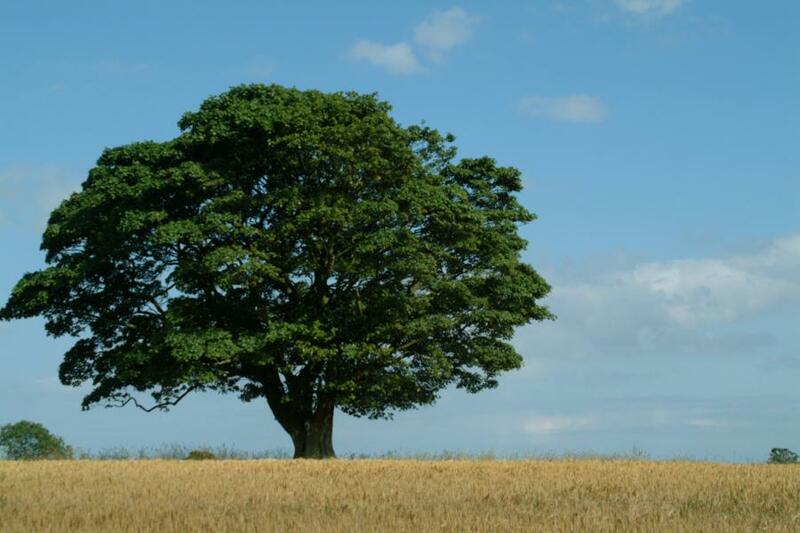 The sycamore tree is a very fruitful tree and it is said that it can have as many as six crops in a year. In the absence of the sycamore tree, or any tree for that matter, would Zacchaeus story have been told? Would his conversion have been as dramatic? I don’t know. Going by other Gospel stories such as the ones for Batimaus and the lady who had bled for 13 years, it is a fact that Jesus had the power to spot Zacchaeus from the crowd even without the diminutive publican having to climb a tree. Right from the creation of the world, Jesus knew Zacchaeus and therefore by the time He made His journey to Jericho, He knew that Zacchaeus’ moment of salvation was ripe. On the other hand, Zacchaeus developed a strong desire to see Christ and I can only imagine his townsmen shock when they saw him go up the tree and thus affording himself a clear line of vision to see Jesus. The Biblical text does not tell us the distance that Zacchaeus ran in order to reach the sycamore tree but given his strong desire to see Jesus, one imagines that the distance was substantial and even in the absence of a tree he could have climbed on some rock or taken some piggyback ride on some stranger. In my view, therefore, the tree represents the environment in which, or the opportunity through which, God’s divine plan for man’s salvation and Zacchaeus’ human desire for God‘s love and salvation met. For the believers, even today Jesus still walks in the dusty streets of our lives and He always shows up for those who have their spiritual eyes open. At the same time, just like Zaccheaus we have all compromised our character in various ways and may not be worthy to host Christ in our hearts. The story of Zacchaeus therefore, in a way, mirrors our own lives and struggles and seems to be an invitation for us to identify our own sycamore trees – that place, that opportunity, that environment that will enable us, and others, to see Jesus as He passes through our lives. One property of the sycamore tree, as noted earlier, is its fruitfulness and this can be taken to symbolise rejuvenation/regeneration. It was on that tree that Zacchaeus was to meet Christ, acknowledge and repent his sins and also rediscover his mission in life – that of taking care of the poor. By climbing the tree, Zaccheaus had strategically positioned himself for a life-changing encounter. And Jesus did not disappoint. I can’t recall reading anything else about what became of Zacchaeus after this encounter but from Jesus’ concluding remarks “salvation has come to his house, it is evident that he lived a very happy and satisfying life thereafter. By going up the tree Zacchaeus got more than what he bargained for; he was requested to come down and not just to see or meet Jesus face-to-face and to host him for a meal in his house but, just like Paul on his way to Damascus, he was invited to a life-changing experience that completely transformed his mission in this world. We can also experience the same life-changing encounter with Christ the moment we identify our sycamore and positively respond to Christ’s request to host Him in our hearts. Another important property of the sycamore tree worthy noting is its imposing nature over the crowds. As noted earlier, the crowds only served to distract Zaccheaus from the attainment of his heart’s desire. Compared to the sycamore tree, with its sturdy trunk and low –spreading branches which stood tall and strong in the midst of the crowd, the people in the crowd appeared insignificant, individually and collectively. Buttressed by this imposing nature of the tree and his strong desire to see Jesus, Zacchaeus’ short stature was no longer a limitation to the attainment of his goals. We are called to identify our sycamore trees in all the areas where Jesus is passing through in our lives, families, places of work, relationships and so on. Once we identify our trees, we shall be able to position ourselves for the encounter and be able to have a clear line of sight to see Jesus. In addition we should pray for receptivity to His gentle presence so that He may help us not to be so deafened and desensitized by the world’s loud outcry that our receptivity fails to register him. For us to be able to achieve the rejuvenation symbolized by the sycamore tree as well as take advantage of its imposing nature, we are called to focus on the Lord and not the crowds. There is a human tendency to wonder what He will ask of us should we meet Him – what habits and what relationships will He ask us to drop or pick? From Zacchaeus experience, it’s clear that, once perched up on the tree Jesus takes over and His grace is sufficient and guides us to a life where we understand that we are nothing but stewards of any possessions or statuses in society and that we should only “glory in the cross”. In particular there is a special call today for Christians who can be sycamores to the teens and the youth; Christians who can lift these young sycamores above the crowds in order for them to see the approaching saviour. These youth ministers are especially called to emulate Jesus’ tone in His encounter with Zacchaeus. In Jesus’ voice, Zacchaeus hears offers for love, compassion, understanding, protection and a promise. Jesus seems to say “Zacchaeus, I know you and your circumstances. I know your past mistakes and your anguish. I know your deep desire to know me, to be my friend and to serve me so that we can walk together. I also know your temptations but my love is stronger than them. My Father sent me to come, to seek and save you; even if you were the only one in the world, I would still have come to die and save you. Accept my love, come down and my right hand will save you; I will wipe away all your tears and as for your sins, I will remember them no more. I will guide you.” This is Christ’s message to the youth today and the youth workers/ministers are called to go to Christ and be in service with Him, and in His way, so that His kingdom may become present in this world and especially in the world of the young people.